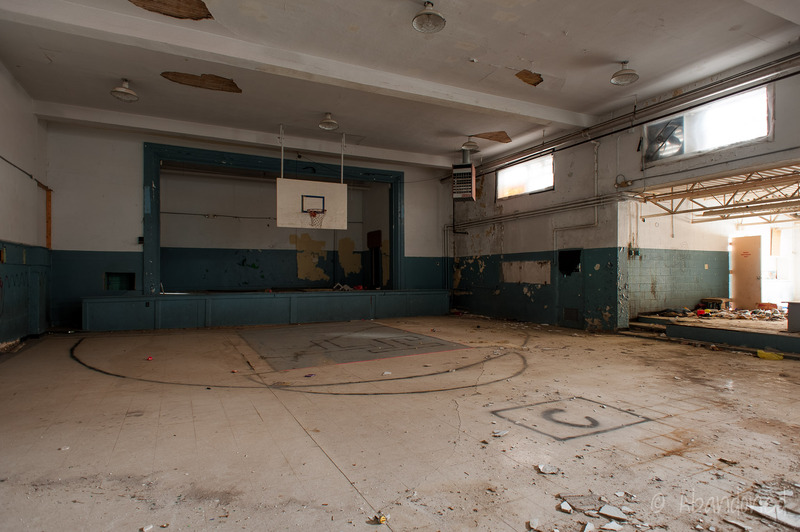 The Ravenna Grade School is a former school that operated from 1927 to 1998 in Ravenna, Kentucky. The city of Ravenna began to grow in response to the development of the Louisville & Nashville Railroad’s (L&N) terminal facilities nearby. 2 The Sawyer family, of the Ravenna Realty company, built the first school building in the town in 1916 at Cow Creek Road (today’s 4th Street) and Pine Street. 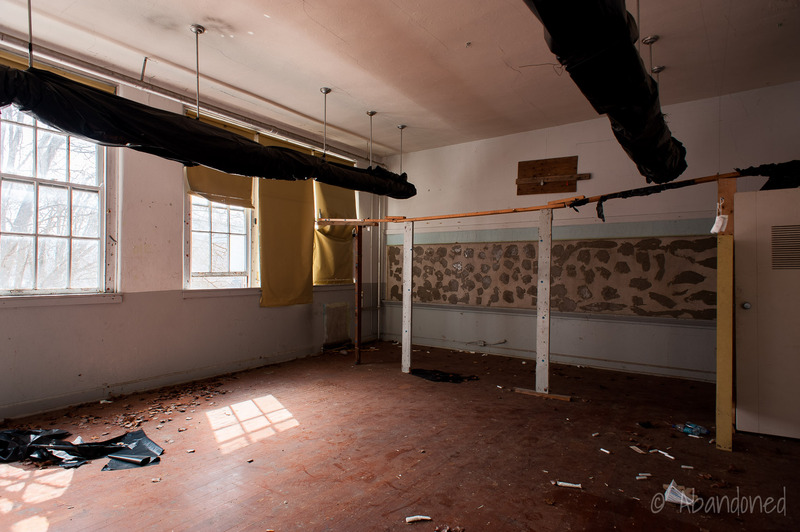 The private institution consisted of one large room with a burlap curtain hung in the center to divide the building into two classrooms. In March 1918, the Ravenna Independent School District was formed and took over the private school. 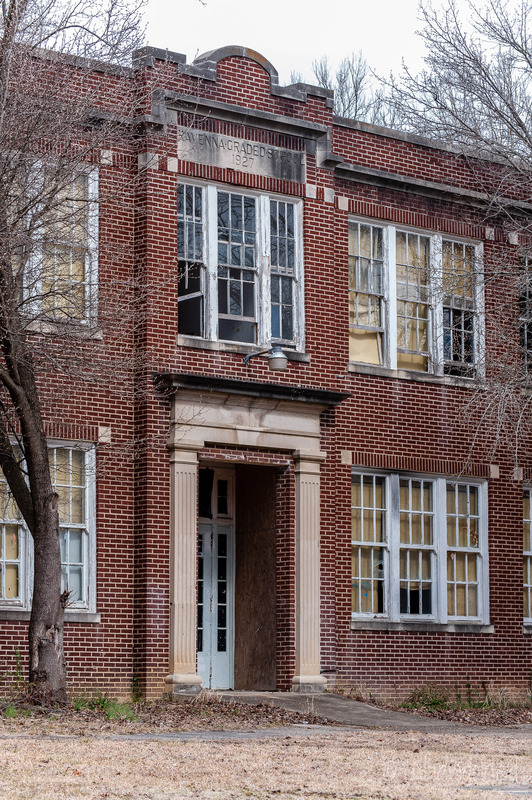 2 A larger building was constructed adjacent to the existing facility in 1919, which contained four classrooms and an office. One of the classrooms doubled as an auditorium when needed. Beginning in 1939, students had the option of either attending Irvine High School or Estill County High School, both in the vicinity. 1 The Ravenna school switched to grades one through eight. The railroad’s importance to Ravenna began to wane in the mid-20th century, with the L&Nreducing yard and terminal operations. 2 Attendance at the school began to decline. On July 1, 1965, the Ravenna School Board voted to merge with Irvine. 2 Additionally, the county began to bus students from one- and two-room schoolhouses to Irvine and Ravenna. To handle the influx of new students, a cafeteria and kitchen were added to the Ravenna Grade School. In 1970, the new Estill County High School opened, and 7th- and 8th-grade students who attended the Ravenna Grade School were bused to the newly created Estill Middle School in the former Estill High School building. 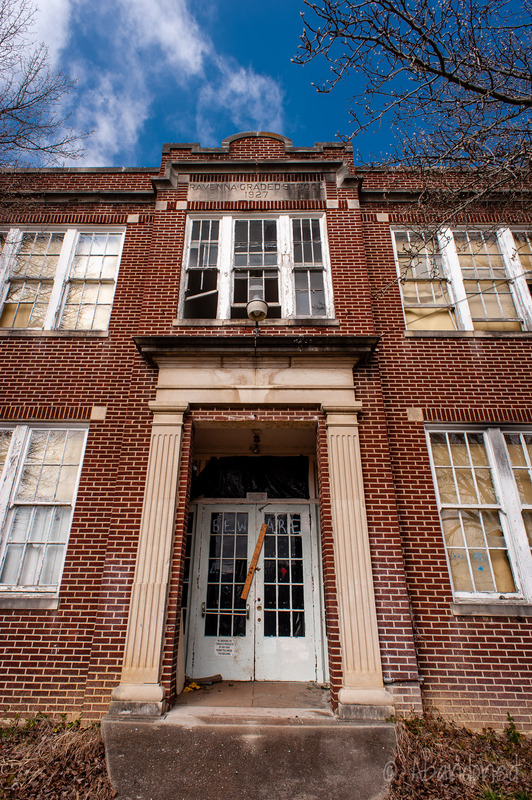 2 Ravenna Grade School then became a kindergarten through a 6th-grade facility. The Estill Springs School was built adjacent to the former Irvine High School in 1988, and 5th- and 6th-grade students from Ravenna were transferred to Estill Springs. 2 To offset student losses, Title 1 and special education courses were added to Ravenna. The Ravenna Grade School closed in 1998. “Ravenna Grade School Will Open.” Citizen Voice and Times [Irvine] 18 Aug. 2011: A5. Print. Rose, Jerry G., ed. “Ravenna’s Schools.” Ravenna. Vol. 2. Lexington: Rosebud Press, 2015. C2-C23. Print. Treadway, C.M. “School in Ravenna is Second Since Town Founded.” Ravenna. Ed. Jerry G. Rose. Vol. 2. Lexington: Rosebud Press, 2015. C24-C. Print. I attended Ravenna Elementary from Kindergarten to fourth grade. There was no air conditioning in the building except for a window unit in the principal’s office. The heat was supplied by large radiators. I burned myself on one one winter, I’m sure lots of other students did too. The bathrooms were below ground level, tucked away under the stairs. They were the creepiest places you could imagine to a child. 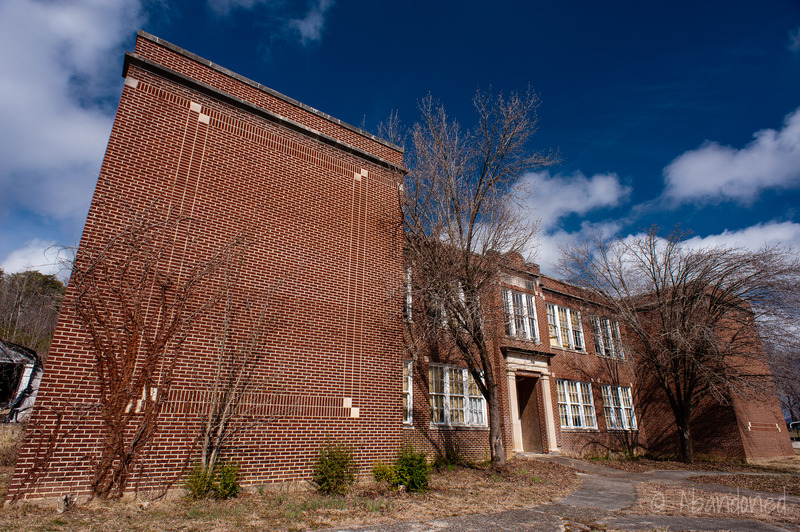 One year a rumor went around that the building was haunted by the spirit of girl and several students claimed to have seen her. Of course those sightings were more than likely the result of overactive imaginations, but it still gave us a sinister little thrill. Side note. 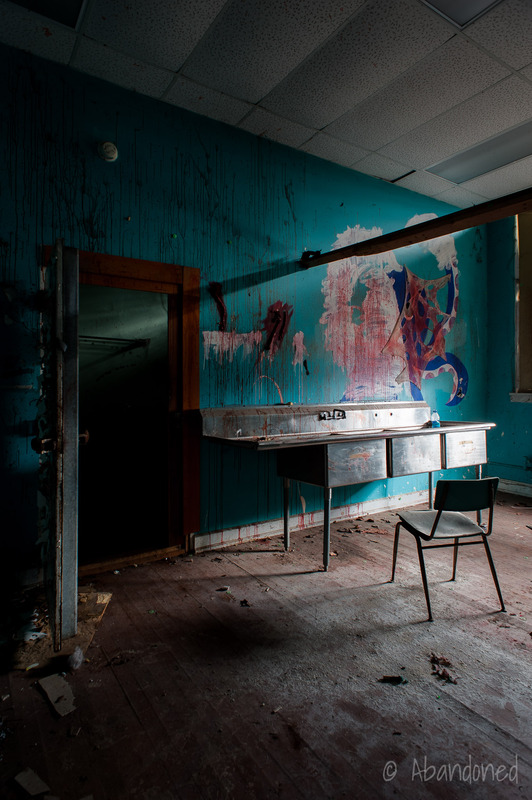 The graffiti pictured is the result of a Haunted House attraction that was held in the empty building for several years around 2005.